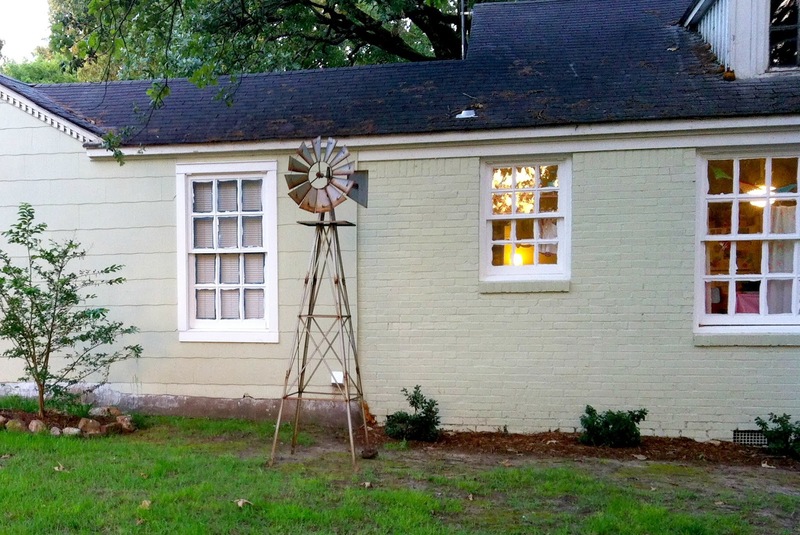 Things this past Spring were a little bit slow going in regards to our little Urban Cottage Farm. But this weekend we did a lot of catching up. 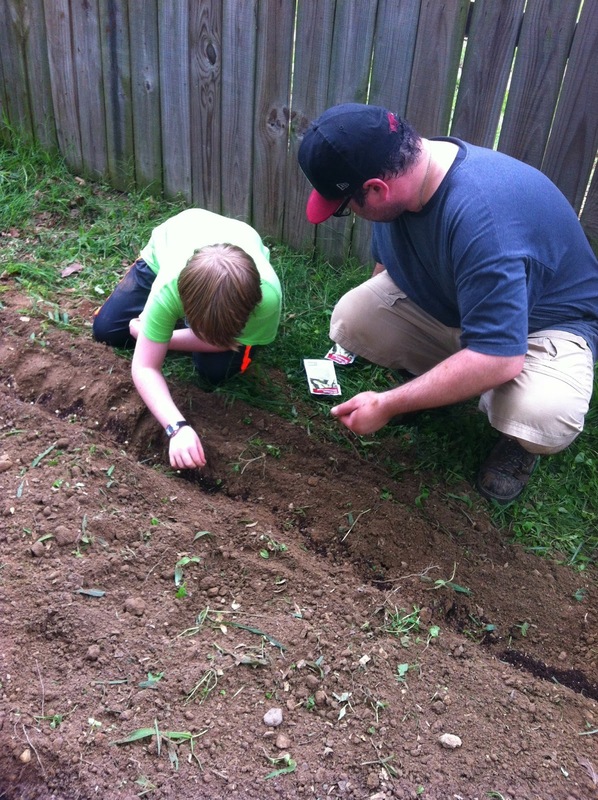 For Father’s Day, all Sweet Man really wanted was for us all to take time to work in the garden together. So that is what we did. This was a bit of a funny realization because we tend to label me as the relational one and him as the loner. Turns out that I am just more social. Which is not really the same thing as being relational. It is an odd little discovery that we are still sorting through and is changing some of the dynamics in our home- for the better. But back to the garden. First we weeded our very-overgrown garden bed. 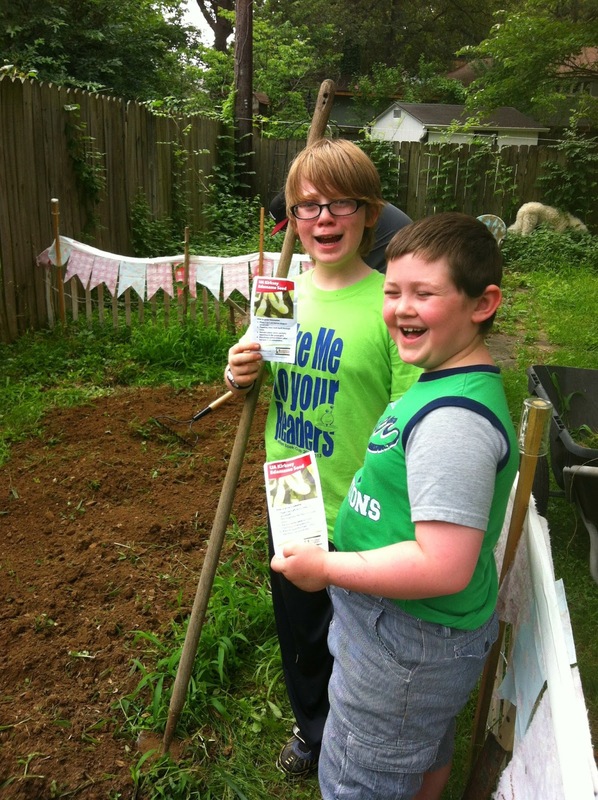 I am not a natural-born gardener, but when it came to planting the edamame I knew my stuff. 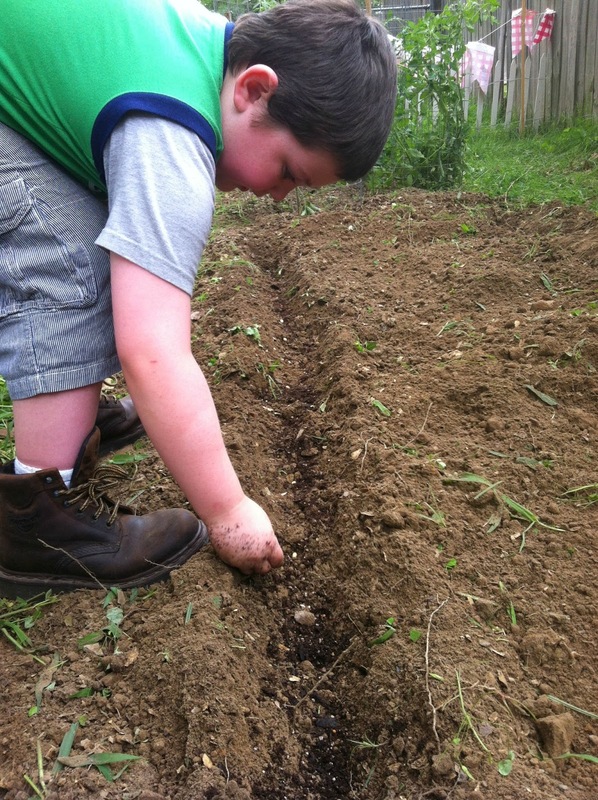 We dug our rows, added our fertilizer and planted those seeds. Now we will just have to see if they actually come up! 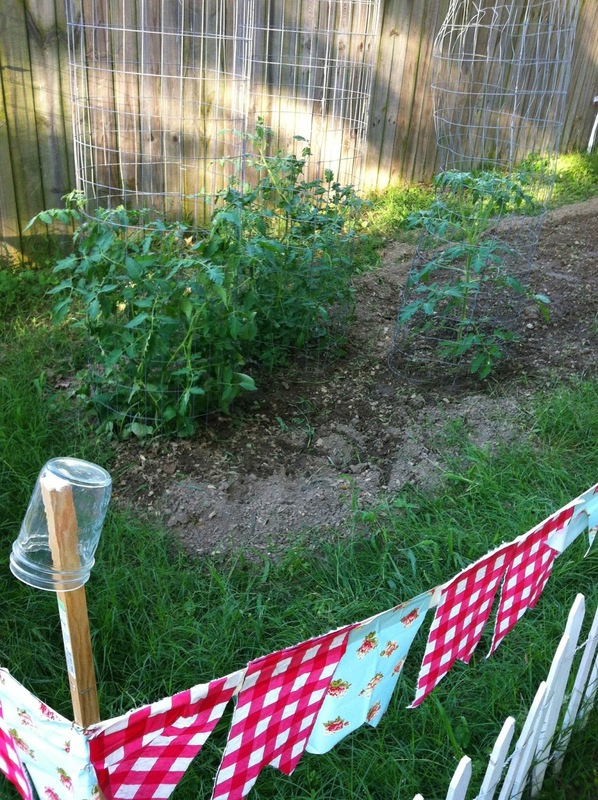 We also tended to our tomato plants, which we grew from seeds that my parents gave us for Christmas. In the beginning these plants were labeled, but when we transplanted several of the varieties from the starter boxes to the garden, we forgot to transplant the label sticks as well. Will be interesting to see what variety of tomatoes we end up with. 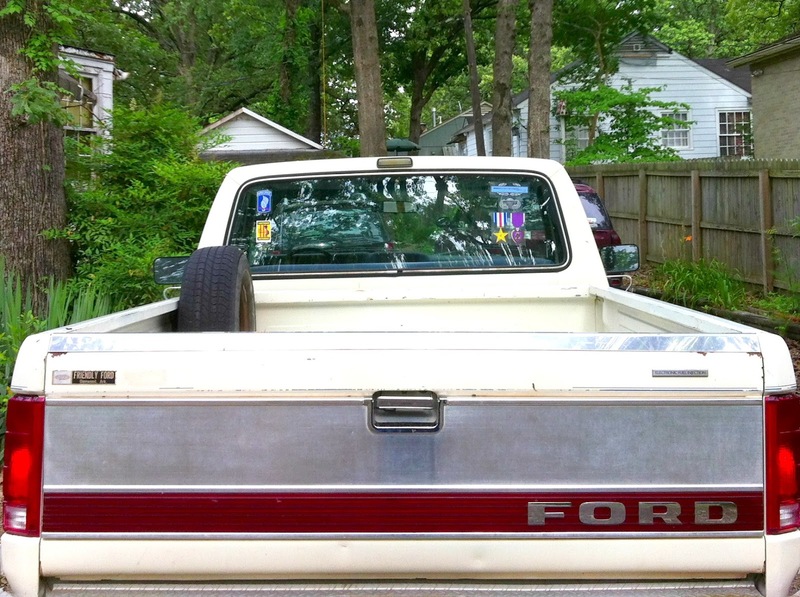 Every farm -even Urban Cottage Farms- need a truck. And we finally found the perfect one for us. 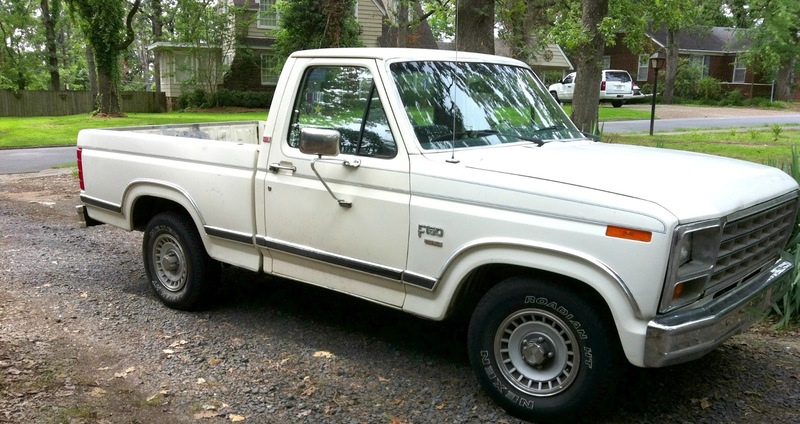 A 1986 Ford 150. Yeah baby. I heart every rough and tumble part of this big white hunk of lovin. Some people dream of sports cars. Some people dream of luxary sedans or oversized SUV’s or tinsy tiny British toy cars. Me? 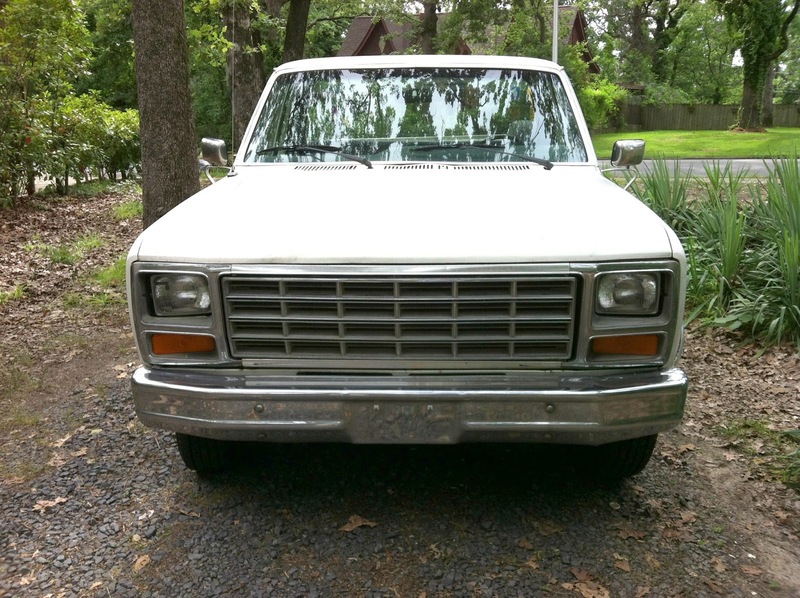 I dream of a big, old, slightly-worn-out, boxy pick-up trucks. 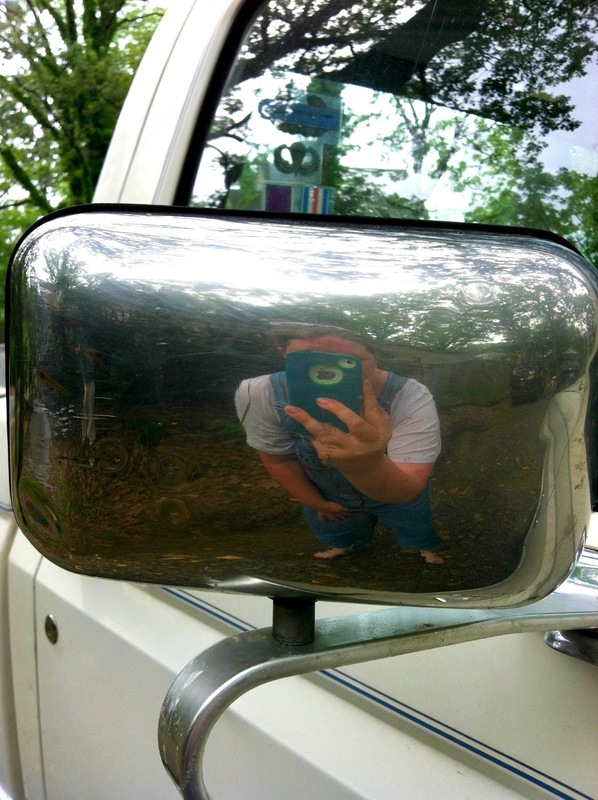 A million years ago, when I thought I was going to go to graduate school and study Southern Women’s History, I had daydreams about teaching at a small southern university, dressed in denim overalls, arriving each day on campus in an old pick-up truck. Well, I am not a university professor (or writer-in-residence, oh the dream!) but I do have the overalls and the truck. Two outta three ain’t bad. And let me tell you, driving her is even more fun than I could have ever imagined. Even though we bought the truck primarily to use in practical ways (trips to Lowe’s, deer camp, to haul loads of mulch,) I might also have big plans to take her garage sale-ing on Saturdays, to the lake for picnics in the back, and maybe even a photo shoot or two… Just maybe. Could you blame me? The final update is this windmill in the front yard. My in-laws recently moved to Louisiana (which I am in a bit of denial about,) and we inherited lots of goodies they didn’t feel like hauling across the state line. This windmill was one of them. It is a little too rustic for my taste like it is, so I am planning on painting it. So that is what is happening around our little Urban Cottage Farm. What is happening in your neck of the woods? MUSTARD. I'm a yellow guy. And, I love the truck — I didn't know THAT was in you! I think a black base with a red fan would look great against the neutral house color! Mustard. 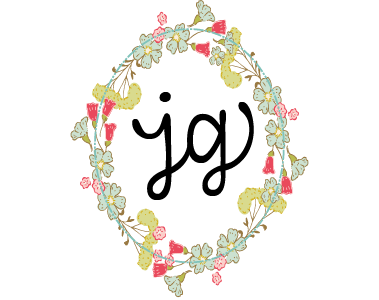 Favorite color-ever. I adore your truck! Fill up the back with quilts, some good, fresh food, a book or two and find a great place in the country to just be. Sounds wonderful to me :). Actually, the truck is you. My question is did you get your hands in the dirt? I am leaning mustard myself at the moment! The truck is great- cannot wait to show it off to you! I think Sweet Man would love this idea. You are just trying to get me all sentimental aren't you? Okay, I gotta see pictures of this! Facebook me!